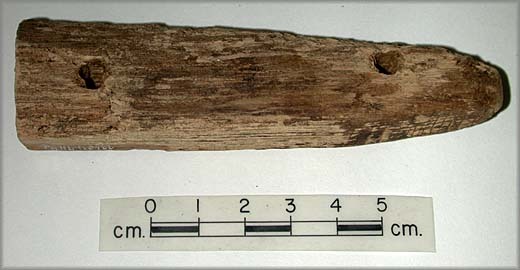 Unusual wooden artifacts from Dorset sites include notched tally-sticks, arrowheads, and other specimens which bear a close resemblance to Norse artifacts from Greenland. One wood fragment is ornamented with a geometric design characteristic of Viking Age and mediaeval Norse decoration. Several specimens contain holes made with iron nails, while others have been sawn or morticed. 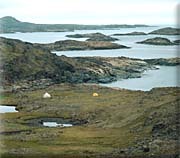 Some of the wood has been identified as fir and as White pine, temperate species that occur rarely, if at all, in Arctic driftwood. Similar decoration has been found on combs and other objects from Viking Age and mediaeval Norse sites. 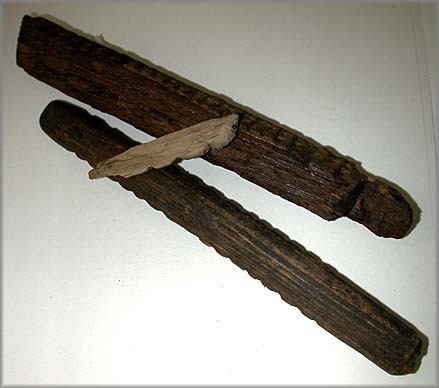 Notched sticks were used by the Norse to record transactions. 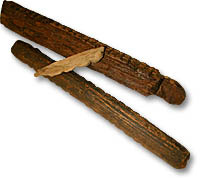 Crude tally-sticks similar to these Baffin Island examples have been found in Norse Greenland. 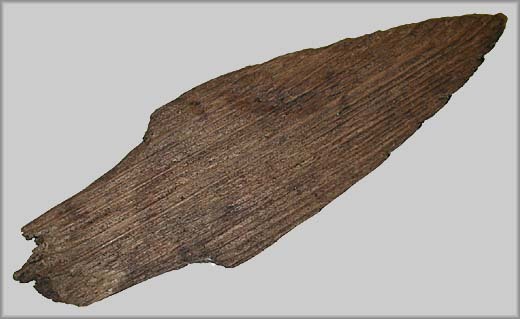 Antler arrowheads similar in shape to this wooden specimen have been recovered from Greenlandic Norse sites. Arrows have not been found in Dorset sites from other regions. These specimens display evidence of carpentry techniques similar to those found in mediaeval European collections. 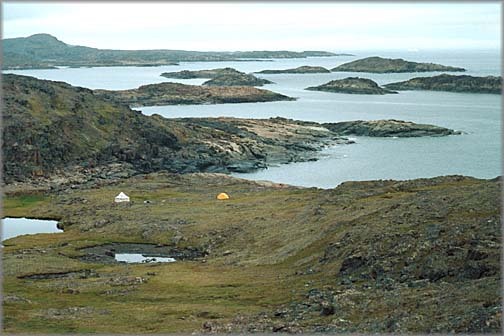 One of the specimens is White pine (Pinus strobus) and has been radiocarbon dated to the 13th or 14th century A.D.
Baskets similar to this specimen from Arctic Canada have been found in Greenlandic Norse sites. 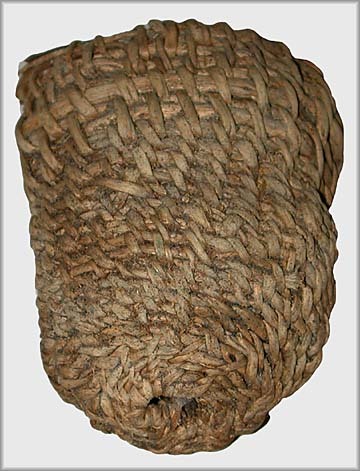 Small baskets such as this may have been used by children.